Shelby and Paul's Ann Arbor Misty Farms wedding wrapped up my 2016 wedding season and it couldn't have been lovelier if it tried. Working with industry peers who are so good at their jobs makes wedding days that much sweeter, and Shelby from The Day's Design took this fall inspired wedding and made it so unique and fresh. 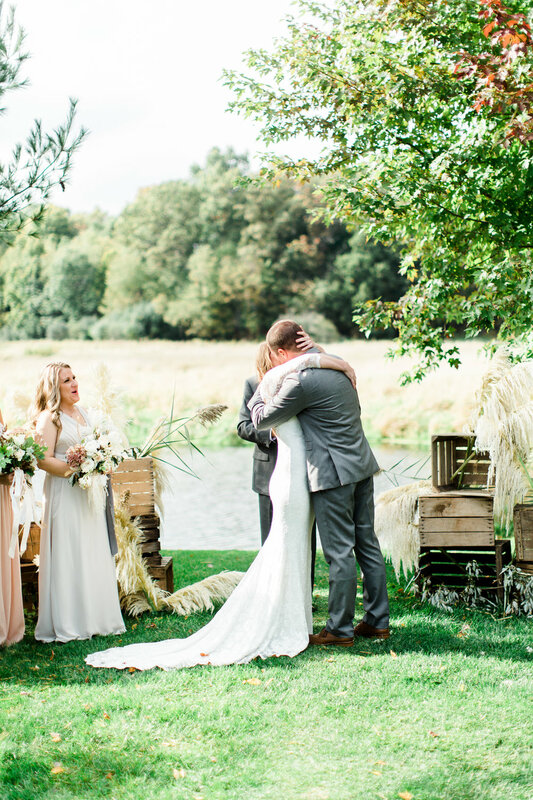 I absolutely went swoony over the wheat, pumpkin and dried hydrangeas. 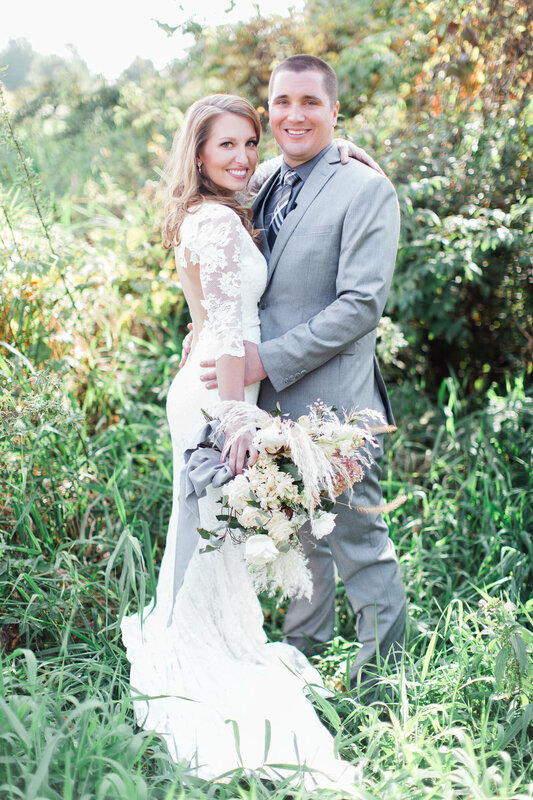 The couple's pondside nuptials overlooking the horse fields was a refreshing nod to the brides' love of country and we had the perfect weather to cap it off. On site artists, Jordana Designs live painted during the ceremony and reception and it was hands down one of the coolest elements I have ever witnessed for a wedding. Coastline Studios was there capturing stunning video of the beyond gorgeous grounds and celebration. I have overshared so many photos of my favorites, but I just couldn't help myself! Shout out to the Find Lab for film development! Enjoy scrolling through some faves!